Riding the bus in Guiyang gives a real view of the city, up close and personal, and sometimes a little gritty. There are so many situations that arise, unlike the taxi. A taxi ride to home from downtown can cost between 30 and 50 RMB, which works out to between $4 and $7. The bus ride is about 2 RMB and often involves a two kilometer walk late at night to complete the trip. So a couple days ago I got on the bus at the “Big West Gate” bus station and I was greeted by a clean and well dressed young lady that had a full smile. It was the most friendly smile I’ve ever experienced when getting on the bus. So I stood near her and she reached out and grabbed my coat sleeve and gestured that I should give her 1 RMB. I said, “You recognize me don’t you?” She smiled more. I told her that I remembered her too. Her smile got bigger. I remembered the girl from a couple months ago (at Big West Gate Bus Station) when I saw her trying to wipe her hand on a bus sign. Then she had gone and sat on the curb, a little bit dirty on that rainy night. I am not a soft touch for beggars in Guiyang. Most of the beggars seem to look healthy or are even faking their affliction. This relatively young and pretty girl was alone two months ago and wasn’t trying to beg. I had a small package of tissues and I put a 10 RMB note with it and gave it to her so she could wipe her hand. 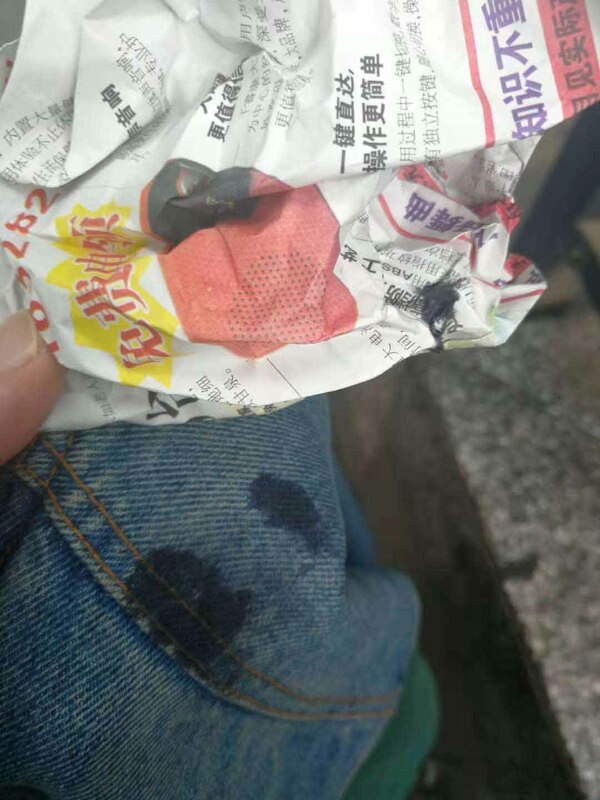 She took the 10 RMB note and one tissue from the package and gave me back the tissues. I tried to refuse the tissues but she insisted on giving the package back to me. So when I got on the bus that day I didn’t immediately recognize her, but when I realized she couldn’t talk, it all connected up. I remembered her. She left me alone for a little while and then she tried to communicate again. She was holding my sleeve and pulling. I figured out that she was trying to sell me her seat for 1 RMB. So I finally said OK and gave her 1 RMB. Some of the older folks on the bus gestured to me that there was something wrong with her head. I just nodded slightly and went back to trying to get the girl to let go of my sleeve. She was standing and trying to get me to sit in her seat. I told her that I was getting down at the next bus stop because I needed number 69 bus. She let go. Some of the others on the bus offered their advice on which bus to take and so on. I got off at the next stop and said good by to the young girl. It was a very friendly and warm experience. It was nice to know that the little girl was sufficiently functional that she could move around the city and do OK.
I’ve been very involved in the local bus service in Traverse City since the beginning in 1985. I am one of the several people who can rightfully claim paternity of the BATA bus service there. It is a service that handles a lot of special needs clients, but is having a difficult time mainstreaming the general public to incorporate buses as part of their lifestyles. 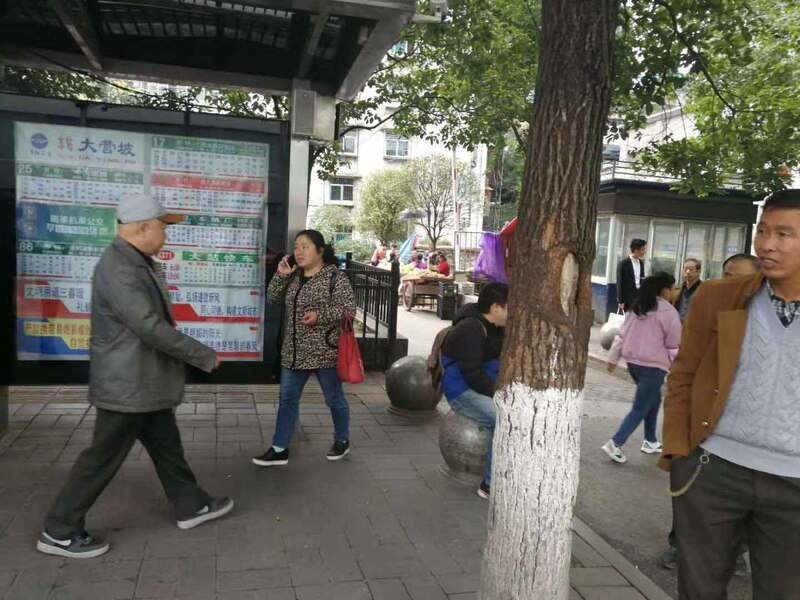 I like riding buses in both Guiyang and Traverse City. The interaction with the others on the bus makes life a bit richer. Let the bus driver fight the traffic. On the bus I can play with my cell phone as much as I want, guilt free.